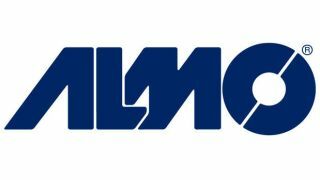 Almo Professional A/V has announced multiple 2017 promotions to meet the increased sales, service, support, and technical needs of its expanding partner base. The newly created positions, which cover business development, purchasing, new markets, and sales in all regions, also make room for the additional hiring expected this year. John RileyJohn Riley has been promoted to senior vice president of channel sales, CTS, DSCE, ISF-C. Stationed in New York, Riley oversees Almo Pro A/V’s entire U.S. inside and outside channel sales team. An entrepreneurial executive with diverse business, sales, marketing and merchandising experience, he has been with Almo Pro A/V since 2009. Before Almo, he worked in multiple sales roles at Electrograph. Stephen McKayStephen McKay has taken on the role of senior vice president of special markets. McKay leads all activities for five unique markets, which include hospitality, new business, direct market retailers, global sales, and representative firms. He is responsible for the day-to-day operations for these groups, including budgets, relationships, and business growth. Before Almo, he was senior vice president of sales at IAVI. Rob ZivRob Ziv has been named director of business development, CTS-D, DSCE, ISF-C. Based in Baltimore, Ziv is responsible for coordinating the strategic planning, sales, and marketing efforts between Almo and its vendor partners. He manages a team of specialized business development managers, mentors top sales people in growing strategic markets, develops and delivers technical training and multimedia content, and is a systems designer for professional audio, video, event production, broadcasting, and teleconferencing. He has been with Almo since 2012 and has more than 25 years of sales and management experience in the pro AV and recording industries. Bill WoodardBill Woodard has been promoted to director of purchasing. Woodard leads a group of buyers responsible for all Almo Pro A/V vendors and inventory management. He also oversees a group of specialists that manage project registrations for resellers and Almo sales representatives. He has more than a decade of experience in the professional AV industry, having held purchasing positions at IAVI and DBL Distributing. Fred RogersFred Rogers has taken on the role senior director of sales, Southeast and Mid-Atlantic, CTS, DSCE. Located in Orlando, FL, Rogers leads the sales teams focusing on the Southeast and Mid-Atlantic regions. Prior to his current position, he was a Mid-Atlantic sales manager for Almo and Electrograph. James CalandrilloJames Calandrillo has been named director of sales, Northeast, CTS, DSCE. Calandrillo is in charge of the Northeast inside and outside sales teams and has been with Almo since 2009. Before Almo, he held sales and channel manager positions at Electrograph and CA Technologies. Cory AllenCory Allen is the new director of sales, Midwest, CTS, CPM, DSCE. Based in Ohio, Allen directs the inside and outside Midwest sales teams. Before Almo, he held successful channel and technical sales positions at C2G. Don KozhayaDon Kozhaya has been promoted to director of sales, West, CTS, DSCE. Located in Los Angeles, Kozhaya leads the inside and outside sales teams on the West coast. In addition to Almo, Don has also served in multiple territory account manager positions at IAVI and Electrograph.